I’ll be honest. 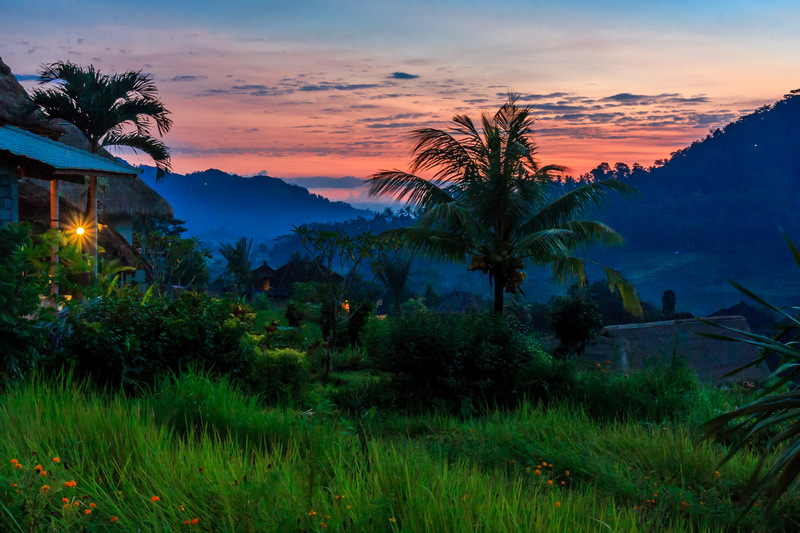 Bali is so beautiful, I have more photos than I know what to do with. I have more photos to share than words! Just driving around Sidemen, Bali, on a scooter was incredible. I didn’t really have a route or a plan. I would just stumble onto beauty everywhere. Getting up early always helps, and that held true in Sidemen. I woke up around 4 am for my Mt. 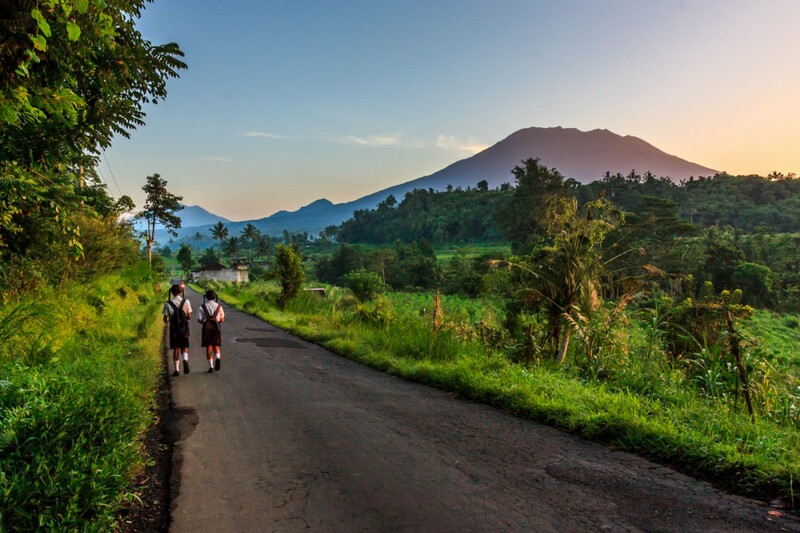 Agung adventure, and I experienced an incredible sunset on the road. 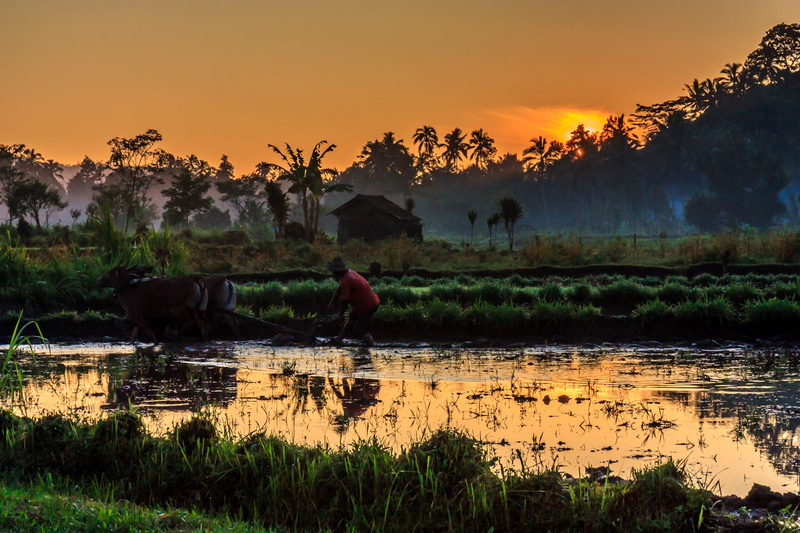 Farmers were busy in their fields as the sun came up. It was so incredibly beautiful, it almost seemed staged. But I can assure you these guys were working hard! They didn’t stop to pose for me. Dinner on the little road of guesthouses was nice too. 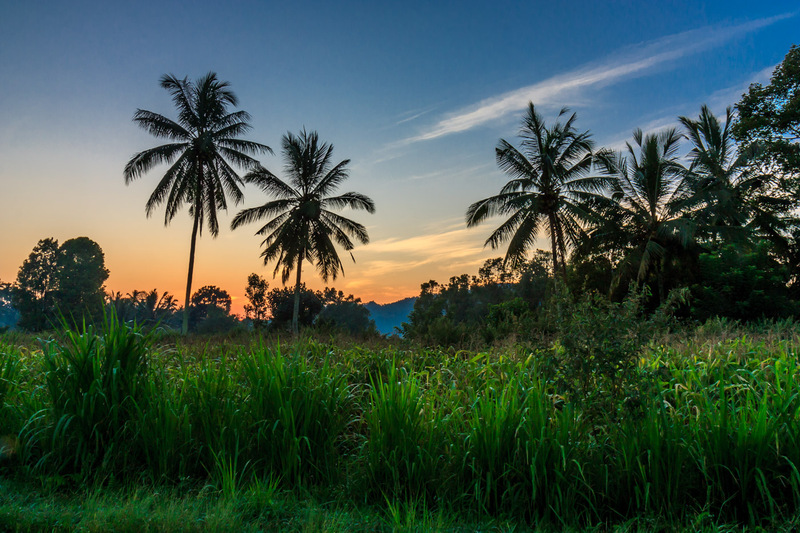 I could watch the sunset over the rice fields, and the ever-present Mt. 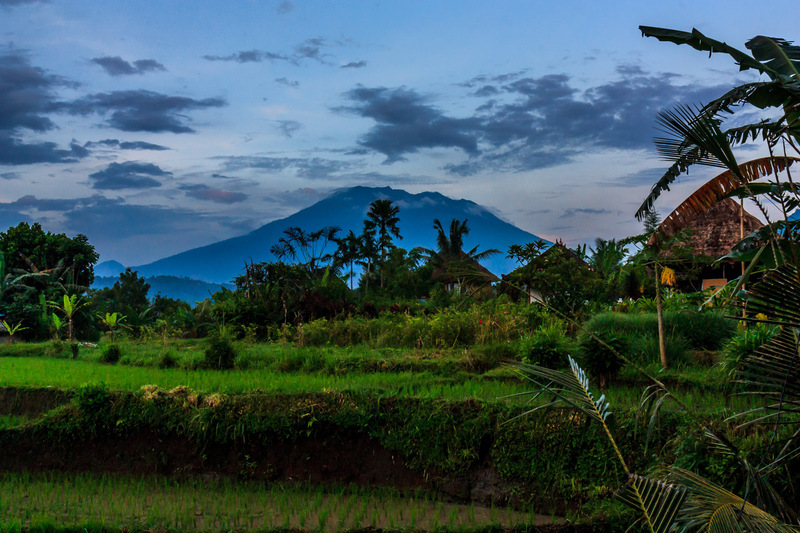 Agung loomed in the distance. It’s no surprise that Mt. Agung is holy. The farmers are working before the sun comes up. A nice view for dinner.